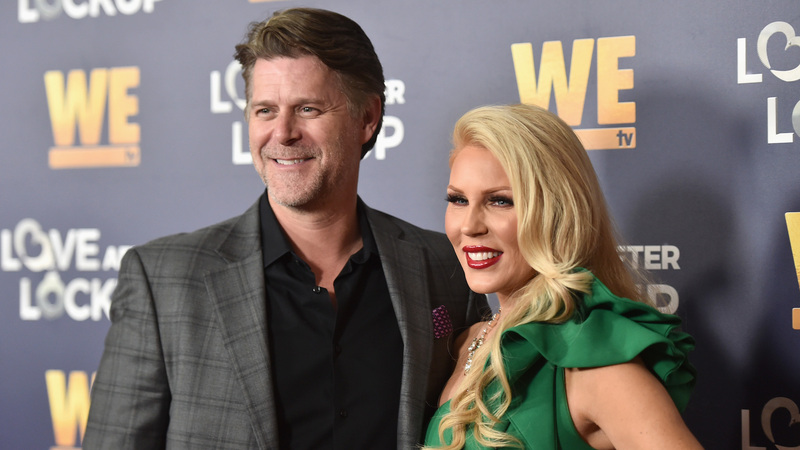 Gretchen Rossi and longtime partner Slade Smiley may be best known for their roles on The Real Housewives of Orange County, but the pair has also appeared on countless other programs, including Extra, Access Hollywood, Oprah and Dr. Oz to talk about the show, their relationship and their struggles with infertility. Earlier this year, Rossi revealed she was undergoing IVF — and had been for four years. But it seems congratulations are in order: Rossi is pregnant. In an announcement on The Doctors, she and Smiley revealed they were expecting, and their baby is due in July. “We are pregnant,” Rossi said. “And we’re freaked out,” Smiley added. When asked about her pregnancy symptoms, Rossi admitted that so far, things were different than she expected. “These symptoms. So, I gotta tell you, man. I swear they lie to you about morning sickness. It’s, like, all-day sickness. It’s, like, the worst ever,” but she is happy. The couple first decided to purse IVF in 2014 after Smiley’s vasectomy. “We were just beyond devastated. I couldn’t even get out of bed because you just go from such a high thinking within the next 24 hours you were going to be pregnant to losing everything and losing 14 embryos. That was really, really hard for me and Slade. I was in a deep depression… I’ve never really suffered through that or been in that circumstance before,” Rossi said. And it took Rossi a long time to recover. She and Smiley took nearly two years off from IVF. But after a while, Rossi decided she was ready to try again. But it seems the gamble paid off. So, congrats, Gretchen and Slade! May your pregnancy be easy and your baby healthy.